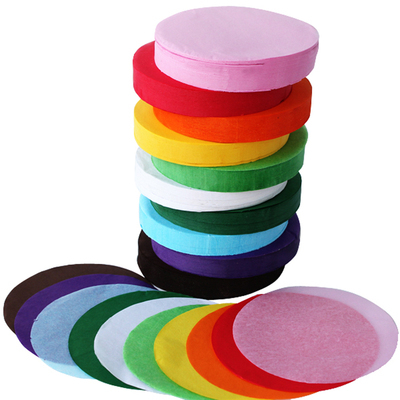 Our bumper pack of Tissue Paper Circles come in an assortment of colours and are an ideal addition to your next crafting session. An economically large page with around 4,600 sheets, these tissue circles are ideal for large classrooms or high-traffic craft environments such as day classes within care homes. Manufactured from non-bleed paper and packaged in an acetate box for easy storage, each pre-cut circle is ideal for creating faces, wheels or flowers. A lightweight and easy addition to your classroom stock and provide hours of entertainment. We also stock a wide range of Arts and Crafts equipment from Lolli Sticks and Glue Sticks right through to vibrantly coloured Cellophane.